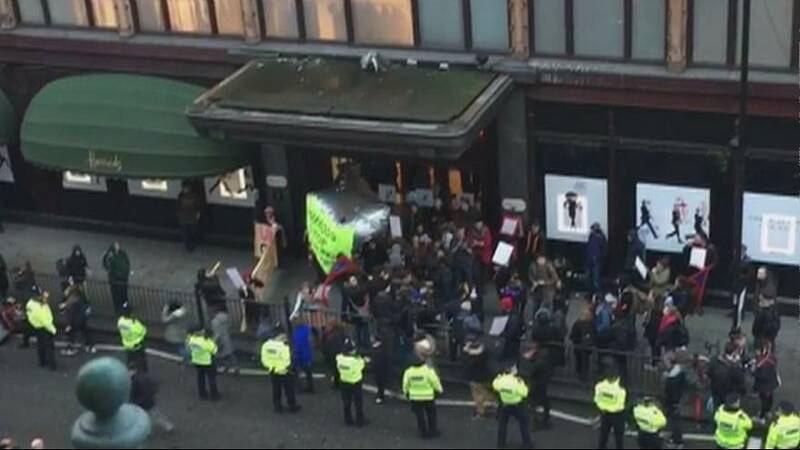 Saturday was a busy old day at Harrods – but for all the wrong reasons as far as the luxury department store is concerned. A protest outside the shop’s entrance brought together disgruntled restaurant staff, complaining that up to 75 percent of the tips they receive in one of London’s best-known landmarks are being kept by its Qatari owner. As unions and anti-austerity activists raise the prospect of industrial action, Harrods is quoted as saying staff are paid ‘fairly’ and above the UK’s national living wage. Roads were blocked in the Knightsbridge area, a smoke bomb was let off and two people were arrested. Harrods is said to be reviewing its service charge system.